Lady Killer Vol.1 is definitely not a conventional jewelry box. 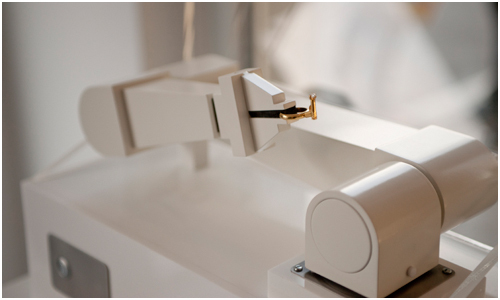 This “box” designed by Atelier Ted Noten with Laikingland was inspired by the 2004 “Unstaged” installation of a robot and a ring, where Atelier Ted Noten set a full size industrial robot alongside a safe in an Amsterdam gallery with the function of protecting and presenting one wonderful ring. 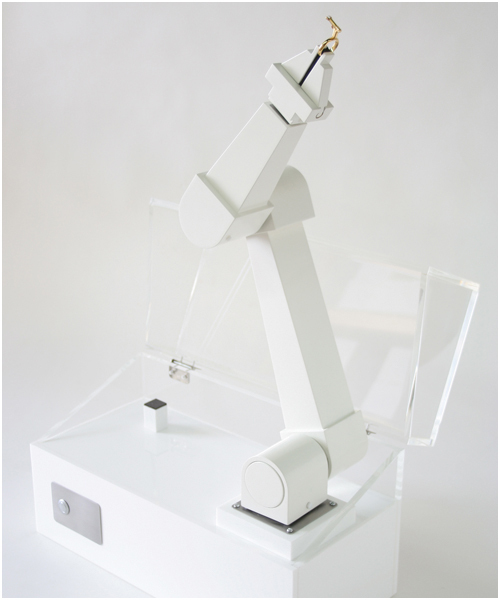 Now this robotic protector can be a part of your home, office or your personal gallery. 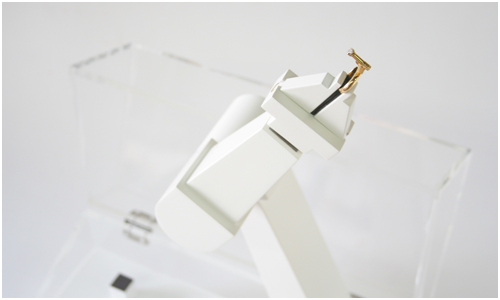 The limited edition box (18 pieces in total) contains a miniature robot created by the latest 3D printing technologies sits inside a robust transparent box with museum polished finish, and complete with upper and lower compartments. 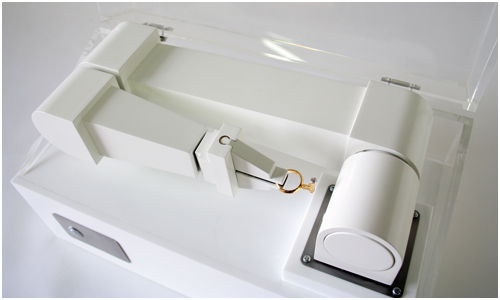 With the push of the button and the custom made mechanism pulses the robot into life. It rises slowly but purposely, rotates a second arm and turns towards her. 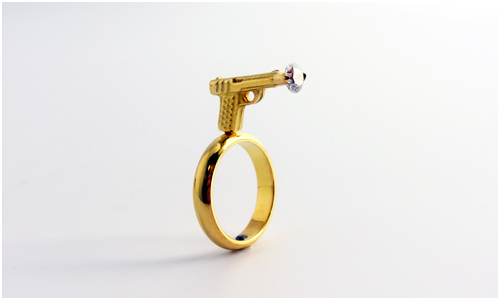 The “Lady Killer” ring, in full view now is spun around one way and then the other, in front of her eyes. Finally it extends, offering the ring. 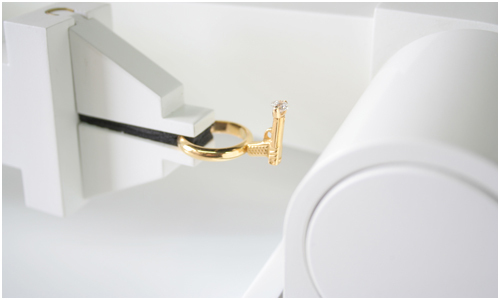 The Lady Killer Ring is of 22 carat yellow gold, a 0.50 carat brilliant cut colorless diamond and a 0.03 carat 2mm brilliant cut black diamond, and is exclusive to this piece and made-to-measure. Dimensions: Height 250mm/10″ Width 400mm/16″ Depth 210mm/8 1/2″. Power: 12 volt internal battery. Color: White, transparent and gold. Edition: Limited to 18 (plus 2 Artist proofs).